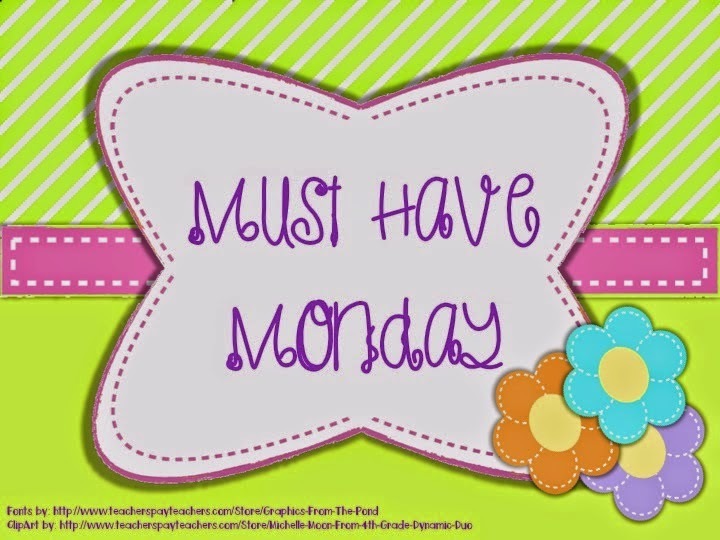 I am linking up with Amy Abbott from Music a la Abbott today with Must Have Monday. We thought this link up would be a great way to show you some of our "Must Haves" in our music rooms and some things that we are adding to our TPT Wishlist for the SITE WIDE TEACHER APPRECIATION SALE Tomorrow, May 6- Wed. May 7. During the sale, I will be joining in with several classroom teachers who are offering 50% off one item in their store. I am offering my End of the Year Awards at 1/2 off! They are in full color and they are EDITABLE! 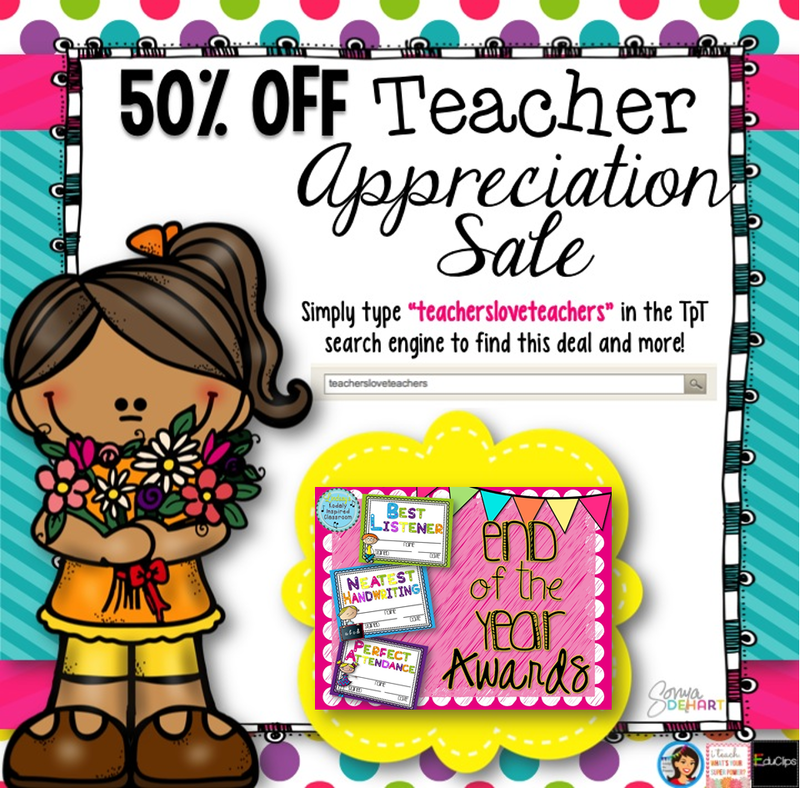 Simply enter the code "teachersloveteachers" in the search back on TPT to find all the 1/2 off products! That's right! Get your wishlist ready! I will be stocking up on a few things to finish out my year as well as some things I've seen in the last few months that I know I want for next year along with some SUPER CUTE clip art to work into some new projects! 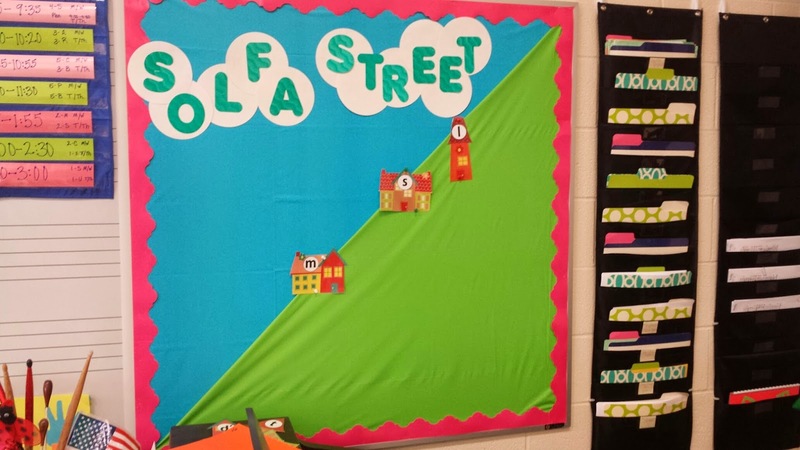 If I had to choose one thing from my tpt store that I really would not want to live without it would have to be my Solfa Street slides and bulletin board set. My kids just LOVE when a new note moves onto Solfa Street. I have had a lot of people ask for the story that I use when presenting each new character/house on Solfa Street, and unfortunately, I don't feel that it is something that I can share as it is kind of a mix of how my methodology teachers presented it to me and a combination of my own ideas, but I will give you the "gist" of how I use it. Any time I am getting ready to present a new melodic concept, I pull up a Solfa Street slide that shows the houses we know and asked is our new sound higher or lower than ____________ (other known solfa). We sing again and figure out where the house should go. I show the presentation slide. Within many of my song files it shows the hand sign as well as the house moving onto Solfa Street. 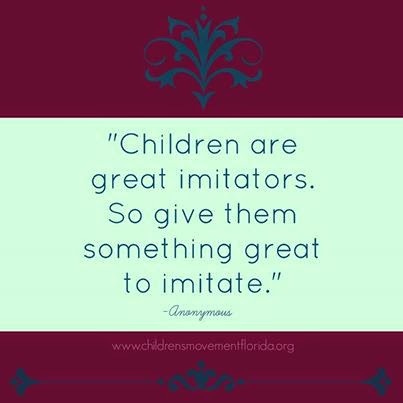 The kids notice everything too. "Why does la have a skinny house, but sol and mi have a fat house?" "Well, remember how I told you sol and mi are best friends and they like to copycat each other? Well, la is a very independent person. She likes to do her own thing, so her house is skinny." This leads into if sol and mi live in a space, la lives on the line above sol...and so on. 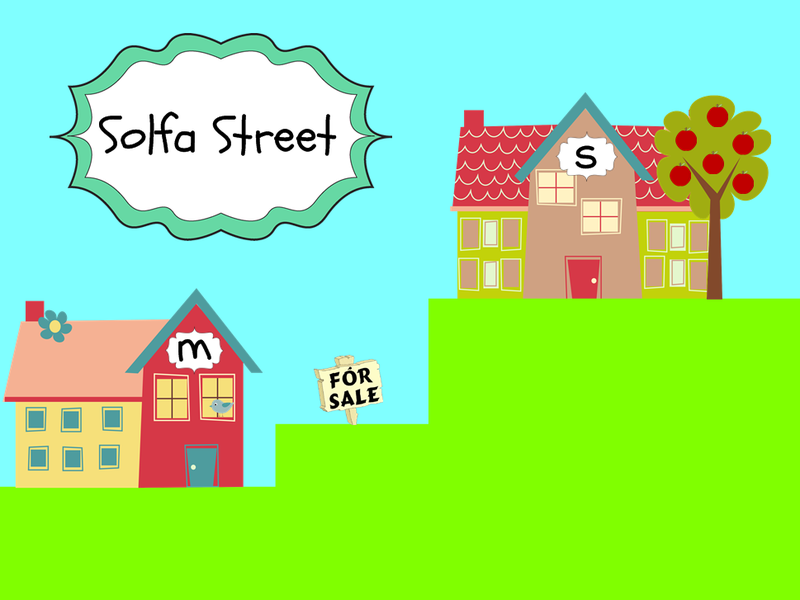 I use a story about sol and mi being best friends and their families are both looking for a new place to live and they happen upon this musical street called Solfa Street that ran up and down a mountain. Only musicians could move onto Solfa street. Sol's family moves onto Solfa street choosing a spot that is not too high and not too low. Sol calls his friend, mi, and mi's family builds a house also. They are awfully afraid of heights, so they build their house closer to the bottom. Transfer to high/low charts. Who lives higher on Solfa Street? (sol) Great! Let's change that H to an s. And who will live lower? (mi), and off we go with a few dictation patterns of sol-mi on a one line staff. I would encourage you if you have not used Solfa Street before to give it a try. Sit down this summer and come up with your own story. Make it yours. Make it wild! The kids will love it! I have a bulletin board in my class that stays up year round. I use push pins instead of staples the houses so that they can come on and off with different classes. I tell them "Make sure to remind me to take la down since 1st grade doesn't know it yet" etc, and they love that. 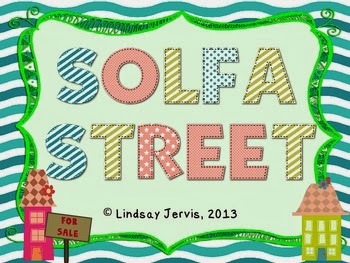 I think next year I will move solfa street onto a part of my board and put magnets on the back of the houses. 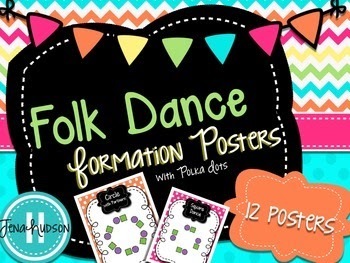 A "must have" from another teacher is this set of Dance Formation Posters. I can't wait to get these printed off for next year. I think they will be a huge to my visuals learners when we set up different dance formations! I'm hoping to use this set of clip art to add on to my Songs and Rhymes for Young Children set. 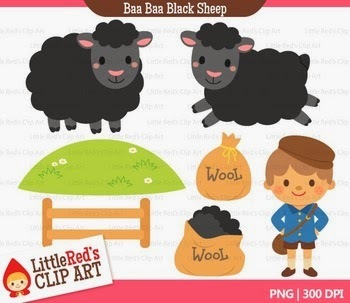 Baa Baa Black Sheep is currently a top song request from my daughter, Ellie. She calls it "Baa Baa Sheep", so I thought this would be a fun set to add. 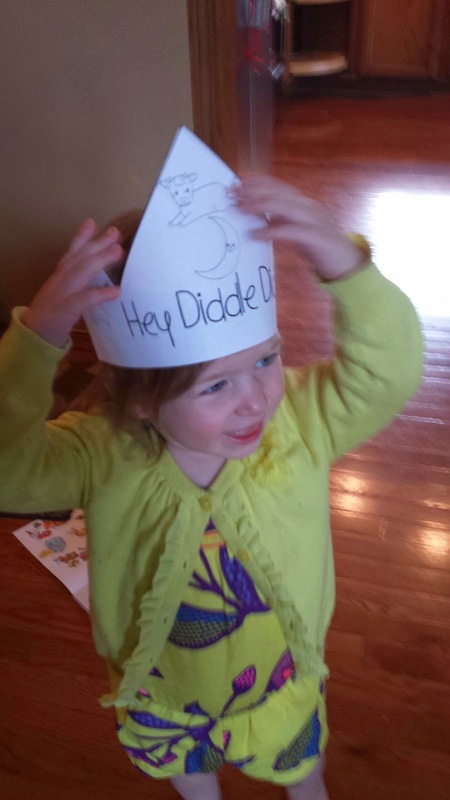 She really enjoys these rhymes and and songs and loves wearing the crows that I've made for that packet. 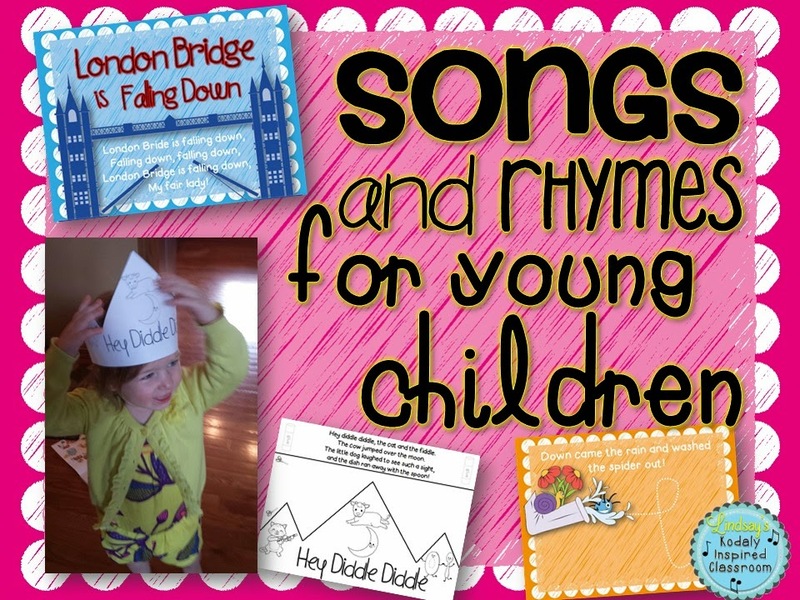 So many times our preschool and kindergarten students come to us without knowing these songs and rhymes that are such an important part of our cultural heritage. I hope this set helps to preserve them it some small way and brings the songs and rhymes back into the homes of these children. I've made a bulletin board out of your Solfa street. I used velco to hold up the houses :) Works really well! Ooo! Velcro is a super smart idea! Thanks for sharing! Thank you so much! I think it will really, really help. I have a circle on my floor out of velcro, but for the different formations, longway sets, etc., I think it will be really helpful! Thanks for linking up!! The picture of your little one is priceless!!! And LOVE solfa street!